Today’s main news: SoFi sees $12M loss in Q3. RealtyShares not seeking new deals, lays off employees. Nested raises 120M GBP. Nubank partners with Tencent. LendingClub sets up shop in Lehi. Today’s main analysis: Earnings recap for Enova, GreenSky, LendingClub, OneMain, and OnDeck. Today’s thought-provoking articles: LendingTree personal loan offers report for October 2018. Online lenders gain from behaving like banks. LendInvest looks outside of London for Buy to Let opportunities. China faces P2P lending scandals dilemma. SoFi Q3 losses hit $12 million. It may seem that P2P lending has hit a wall with these kinds of numbers coming from several quarters, however, I tend to think of this as growing pains while the industry is standing face to face with maturity. RealtyShares cuts staff, places moratorium on new deals. Not a good sign, but other real estate crowdfunding sites seem to be doing well. Earnings recap for online lenders. PeerIQ looks at Enova, GreenSky, LendingClub, OneMain, and OnDeck. Revenues are looking good. OnDeck appears to be recovering nicely. Despite $23 million in losses, LendingClub’s stock price increased, but what happened to GreenSky’s? Was it overvalued? LendingTree personal loan offers report. Average loan amounts per APR are up for each level of credit score compared to one year ago, except for the 640-679 range. Online lending gains from behaving like banks. And this is what banks are afraid of. LendingClub sets up in Lehi. Interview with Jason Brown of Tally. 5 business loans available 24/7. AFR pays agent fees for VA loans. Elevate appoints chief credit officer. Unchained Capital boosts crypto loan security. Learn more about Unchained Capital and other crypto lenders here. Finitive taps CEO of First Associates to be strategic advisor. Nested raises 120 million GBP. Congratulations. LendInvest looks outside of London for Buy-to-Let opportunities. Starling Bank partners with post office. Government faces P2P lending scandals dilemma. Pintec partners with Evercare for installment financing. International: Nubank partners with Tencent. Asia: API Exchange to launch at ASEAN Financial Innovation Network. International: 5 ways banks are responding to fintech. 10 reasons to attend LendIt Fintech Europe 2018. Online lender Social Finance (SoFi) continues to struggle, recording an adjusted loss of around $12 million during the third quarter before interest, taxes, depreciation and amortization. The FinTech company has now recorded losses for the second consecutive quarter. In August, it posted a second quarter loss of about $200 million. According to The Wall Street Journal (WSJ), the earnings losses follow an adjusted profit of $56 million in Q3 of 2017. Loan volume has fallen for two straight quarters under Anthony Noto, who took over as CEO in March. In fact, the company revealed in an investor letter that it had extended around $2.5 billion in refinanced student, unsecured consumer and mortgage loans in the third quarter, falling nearly 30 percent from the same period a year ago. One of these companies was ReatlyShares. Started in 2013 they raised $58 million from leading venture capital firms and started connecting investors with projects with as little as a $1,000 investment minimum. Five years later the company is announcing that they are laying off most of their employees and are no longer seeking new deals. The exact reason for the demise is still uncertain but a few factors could have contributed. We analyze the earnings of Enova (ENVA), GreenSky (GSKY), LendingClub (LC), OneMain (OMF) and OnDeck (ODK). All lenders delivered high-double digit revenue growth YoY. ENVA’s revenues grew 35% YoY, and GSKY’s revenue grew 29% YoY, albeit from a low base. Originations also grew by double digits YoY, with originations at GSKY growing by 33% YoY. Lenders have raised their borrowing rates, although well below the rate of Fed Rate increases leading to margin compression. In the last 12 months, LendingClub, for instance, has raised interest rates across the credit spectrum by between 49 bps and 114 bps, while the Fed has raised short-end rates by 100 bps. The flattening yield curve is raising the cost of borrowing on lenders’ credit facilities which are benchmarked to short-term interest rates. Overall, lenders and investors are experiencing margin compression. By contrast, large banks continue to issue deposits at ultra-low rates (< 6 bps for large money center banks) and have benefitted from rising rates. Stock price performance post earnings has been good in a relatively volatile market. Margin compression at GreenSky disappointed investors and the stock slid by over 35% after earnings. All other stocks gained post earnings with OnDeck up by nearly 33%. Enova’s revenues grew by 35% YoY to $294 Mn and net income was $15 Mn, compared to a loss in Q3 2017. Loans grew by 32% to $1 Bn, and originations grew by 23% YoY to $0.7 Bn driven by 28% YoY growth in the US subprime business. 31% of Enova’s new originations in the first nine months of 2018 came from new customers. This was the highest proportion of originations from new customers since 2004, demonstrating a large untapped market as Enova expands. Loan loss reserves increased by 44% YoY to $0.2 Bn. Enova is seeing charge-off rates increase from near cycle lows. Charge-offs in Q3 were $141 Mn, up by 53% YoY. The company noted that charge-offs on new customers are roughly three times those on recurring customers, and the company evaluates every loan decision based on the lifetime expected value of that customer. Enova had $164 Mn in cash and equivalents and $951 Mn in debt outstanding at the end of Q3. Enova issued $375 Mn of seven-year notes at 8.5%, which were used to retire existing 9.75% notes and added a new two-year $150 Mn secured facility points to grow the near prime installment product. The company also priced its inaugural $125 Mn NetCredit term securitization at a blended fixed cost of 6%. GreenSky’s revenues grew by 29% YoY to $114 Mn and net income increased by 20% YoY to $46 Mn. It was GreenSky’s second quarter with more than $100 Mn in revenues and $50 Mn in EBITDA. GSKY had record originations this quarter of $1.4 Bn, up by 33% YoY. GreenSky’s portfolio is focused on home-improvement borrowers and the company is looking to expand into elective healthcare and e-commerce financing. 30+ day delinquencies decreased marginally to 1.44%. GreenSky had $294 Mn of cash and cash equivalents and $387 Mn in term loans. Funding commitments from bank partners increased by $3.5 Bn QoQ to $11 Bn. GreenSky’s bank partners are charging higher funding spreads. GreenSky has not been able to completely offset this increase by passing on higher rates to borrowers. The investor presentation is here. LendingClub delivered another quarter of record revenue of $185 Mn, an increase of 20% YoY. LC’s net loss was $23 Mn, up from $7 Mn YoY. LendingClub announced a partnership with Intuit to offer loans to TurboTax customers by directly accessing their tax records. It’s a smart deal. The partnership enables LendingClub to keep customer acquisition costs low and also use alternative data to underwrite borrowers. Originations grew by 18% YoY to $2.9 Bn, the highest quarterly originations at LC. Net interest income was offset by fair value adjustments on loans of $20 Mn while the structured program generated revenues of $6.3 Mn, the highest to-date. Over the last 12 months LC has continued to tighten credit to reduce portfolio charge-off rates. The table below shows the QoQ change in the return and charge-off estimates across grades. Projected returns for grade A increased by 91 bps QoQ. LendingClub ended the quarter with $514 Mn of cash and equivalents and no unsecured debt. LendingClub held about $459 Mn in loans on the balance sheet, most of which will be used future securitization programs. The CLUB Certificates program has raised more than $1 Bn in capital. LC issued a $270 Mn prime securitization this quarter. OneMain reported revenue growth of 15% YoY to $933 Mn and net income more than doubled YoY to $148 Mn. Originations this quarter were $2.9 Bn, of which 54% were secured, and receivables grew by 10% YoY to $15.8 Bn. OMF generated interest income of $933 Mn, up from $808 Mn YoY. OMF’s receivables portfolio yielded 23.7%, up from 23.4% YoY. 30 to 89-day delinquencies were 2.3% and 90+ delinquencies were 2.0%, near all-time lows. Provisions for loan losses increased by 5% YoY to $0.3 Bn and the total loss reserves increased by 1% to $0.7 Bn. The net charge-off rate dropped to an all-time low of 5.8%. OMF had $1.2 Bn of cash and cash equivalents and revolving conduit facilities of $5.8 Bn at the end of Q3. 50% of the company’s debt is secured. In 3Q, OMF net issued $700 Mn in unsecured notes and $900 Mn in ABS. Moody’s revised One Main’s outlook to positive. Revenues at OnDeck grew by 23% YoY to $103 Mn, the first time that quarterly revenue exceeded $100 Mn. OnDeck also delivered net income of $10 Mn. OnDeck launched ODX, a Software-as-a-Service company, that will provide underwriting services to banks. ODX has already been working with JP Morgan and also announced a partnership with PNC. OnDeck is investing $15 Mn in strategic growth initiatives, two-thirds of which will be in ODX in 2019. OnDeck’s originations grew by 22% YoY to an all-time high of $0.6 Bn and the loan book grew by 16% to $1.1 Bn. OnDeck has navigated the rise in interest rates well with the Effective Yield on its portfolio rising by 340 bps YoY to 36.5% and the NIM increasing by 400 bps to 33%. OnDeck’s provision for loan losses decreased by 1% YoY to $40 Mn, while the loss reserve increased by 27% YoY to $134 Mn. Net charge-off rate decreased significantly from 16.9% to 11.1% YoY. The 15+ Day Delinquency Ratio dropped to an all-time low of 6.4% from 7.5% YoY. ONDK’s total debt was $771 Mn and cash and cash equivalents were $71 Mn at the end of Q3. OnDeck’s cost of funds dropped by 40 bps YoY to 6%. OnDeck closed an additional $175 Mn in credit facilities. Despite a rising rate environment, offered APRs ticked down for borrowers with lower scores, but are up for those with higher scores. Rate and loan amount offers varied widely among consumers, depending on factors including, but not limited to, credit score, income, and current debt obligations. When Noah Breslow rang the opening bell at the New York Stock Exchange in the week before Christmas 2014, it was a high point — perhaps the high point — for the fledgling online lending industry. OnDeck’s peak-to-trough decline in its share price was 86 per cent; Lending Club’s was 90 per cent. However much the companies protested that slower top-line growth was actually a positive — implying that they were being more selective on lending — investors were unpersuaded. Mr Breslow is happier with the investor mix now and how results are received. In the second quarter, for example, OnDeck reported a slight fall in loan originations, from $591m to $587m. But investors welcomed a relatively low net charge-off rate — a measure of bad debt — of 11.2 per cent, from 18.6 per cent a year earlier. LendingClub, an online credit marketplace based in San Francisco, announced last week that it will expand outside of California and open a second corporate office in Lehi. 3. P2P Lenders –The term “peer to peer” is exactly what it seems. If you’re looking to apply for a loan completely online, you might want to consider any of the many lending groups available that specifically offer consumer-funded loans to any type of small business or sole proprietorship. 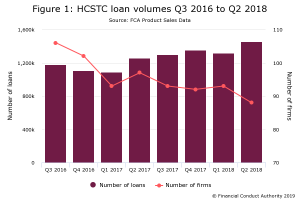 Loan amounts vary from $2,000 to $500,00, and while many of the companies require at least two years of sales records, some (like Funding Circle) have low sales revenue requirements. 4. Invoice Financing – New to the business lending game is what is known as “instant invoice payments” or “invoice financing” services. American Financial Resources, Inc. (AFR) announces that beginning on Veterans Day it will pay any required VA agent fees for its brokers and correspondents on all AFR-related VA loan submissions. Elevate Credit, Inc. (NYSE: ELVT) (“Elevate” or the “Company”), a tech-enabled provider of innovative and responsible online credit solutions for non-prime consumers, today announced that it has appointed David Peterson as Chief Credit Officer, effective immediately. Peterson’s background includes 15 years’ experience in financial services, primarily in credit risk. He joined the company in 2010 and has held a number of roles of increasing responsibility in areas including credit strategy, risk, portfolio management and fraud. Previously he was with Americredit Financial Services. He holds a BBA in Finance and an MBA from the M.J. Neeley School of Business at Texas Christian University. Unchained Capital, the crypto lending platform, is boosting security for crypto-backed loans. They have partnered with Citadel SPV, who provides governance, administration, and accounting solutions. The solution includes Multisig components. Multi-institution features will add to the security. Peer-to-peer (P2P) lending market is massive. Cision PR Newswire projects a US $897.85 billion P2P lending market by 2024 in a recent report. Can crypto startups make a splash in this burgeoning market? Finitive (www.finitive.com), a financial technology platform providing institutional investors with direct access to alternative lending investments, announced today that David Johnson, CEO of First Associates, has joined its advisory board. First Associates is the fastest growing loan servicer in the country and a leader in the application of AI strategies in private credit markets. As an industry leader in the loan servicing and fintech sectors, Johnson will advise Finitive on artificial intelligence, strategic initiatives and operations. LendInvest, an online marketplace for mortgages, has published the latest LendInvest Buy-to-Let Index report. The quarterly BTL Indes reviews 105 postcodes in England and Wales ranking four different characteristics: Rental Price Growth, Rental Yield, Transaction Volume, Capital Value Growth. In late 2015, investors in one of China’s largest peer-to-peer lending companies, Ezubao, found themselves unable to retrieve their deposits. By September the next year, 26 Ezubao employees had been sentenced for effectively running a Ponzi scheme and failing to repay as much as Rmb38bn ($5.5bn) to investors. China’s P2P lending industry recorded transactions valued at $445bn in 2017, according to Online Lending Club, a data company. Even this gentle regulation has started to take a toll on P2P lending platforms. Numbers have thinned from 2,205 platforms at the beginning of this year to 1,590 platforms as of this August, according to Online Lending Platform, a website that tracks P2P data. Since the beginning of this year, the iOS app store and certain Chinese Android app stores have begun culling the number of P2P platforms available for download. Chinese fintech Pintec Technology Holdings Limited (PINTEC) announced on Monday it has formed a new partnership with Beijing Evercare, a company that provides medical aesthetic treatments and health management service. Pintec reported that it will provide Beijing Evercare with an efficient and customized installment payment solution, enabling Beijing Evercare to better serve its consumers with installment options. According to Pintec, Beijing Evercare offers its services to more than 200,000 consumers year, with the majority of its customers are white-collar workers aged 20 to 35, and females aged 36 to 50. Due to the relatively high price of such treatments, many consumers prefer installment payments to lower the financial burden. With Pintec’s customized installment payment solution, consumers of Beijing Evercare can easily apply for installment financing. Meet your new partner. Commercial and Regional bank execs come to identify the best potential fintech partners to help them remain competitive in this new customer-focused digital banking era. Find your new funding partner. Hear keynote Des McDaid, Head of UK for Marcus by Goldman Sachs. He’ll be speaking on how Goldman is targeting the masses, and leading innovation in banking. Expand your family office network and learn how four families and their advisors including are currently allocating into fintech. Find out what’s next for fintech unicorn Funding Circle from CEO, Samir Desai. Discover your next big investment opportunity. Explore the ins and outs of open banking. Understand how to bring assets to the blockchain with SoFi’s former CTO, June Ou, and take advantage of all the content that the inaugural Blockchain track has to offer. Source new cutting-edge solutions providers in our 2,500 square metre expo hall. Maximize your time at the show with our smart networking tools! A leader in financial services technology in Latin America, Nubank has just raised a $ 90 million investment from Tencent Holdings Limited (“Tencent”), China’s leading Internet services portal. With this round, the company reaches about $ 420 million raised in seven rounds of investment since it was founded in 2013. A leader in financial services technology in Latin America, Nubank has just raised a $ 90 million investment from Tencent Holdings Limited (“Tencent”), China’s leading Internet services portal. With this round, the company reaches about $ 420 million raised in seven rounds of investment since it was founded in 2013. 1. Digital attackers – Those in this group consider that the best form of defence is attack. Banks with the most advanced digital strategies, like DBS, have launched their own digital banks to enter new markets or defend their patch. 2. Acquisitions – Hampered by the vast cost and complexity of maintaining their old systems, sometimes banks find it easier to buy or invest in a start-up that has built a digital platform from scratch. 3. Partnerships – Bank bosses complain loudly of an uneven playing field that allows big technology groups to offer financial services without the burdensome regulation that traditional lenders face. That has not stopped some banks teaming up with Big Tech groups. 4. Diversification – While their core payments and lending businesses may be under pressure from digital competitors, some banks are using new technologies to move into new markets. 5. ‘If you can’t beat them, join them’ – Sometimes banks decide that the threat from digital competition is so great that they just have to amend their business models. An online fintech marketplace, the API Exchange (APIX), will be launched on Wednesday (Nov 14) by the ASEAN Financial innovation Network (AFIN) in a bid to increase financial inclusion in hard-to-reach markets. The AFIN is spearheaded by the Monetary Authority of Singapore (MAS), the ASEAN Bankers Association and the World Bank’s International Finance Corporation. There are about 1.7 billion adults globally who are unbanked, and one in three of them come from four countries in Asia – China, India, Pakistan and Indonesia, said the managing director of MAS, Ravi Menon, at the opening of the third Singapore FinTech Festival 2018 on Monday.